Meet Sammy! He is a very handsome, two year old, forty pound, black/white & brown colored, Border Collie Mix. 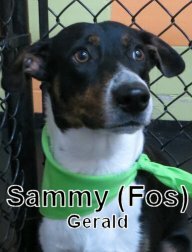 Sammy is a rescue dog that has fit in well with his forever-family. He tried out The Fort today, to get ready for some future Overnight Boarding. Sammy stayed with us in The Medium Roll and wasn't exactly sure what to make of it at first. As the pack grew, Sammy relaxed into his new social scene well. We think Sammy did a good job here today. In time, hopefully he will become even more comfortable here, let his "hair down", and get some more play time in. Fine work this morning Sammy, we look forward to your return. P.S. One cool fact about Sammy, his owner is a University Place Firefighter, who recently helped us on our latest Fire Inspection. Last Sunday we assessed Max. He is an eight year old, ninety pound, Coonhound. Max stayed in the Big Roll. He was a curious and confident fellow, quite fluent in "Dog Speak" lol. He did very well here, playing with boxer friend, Liberty, among others. Max used to come to The Fort for training, when we had classes here back in the day... Now, he's ready and eager to experience daycare, as well as overnight boarding here at Fort Fido. Unfortunately, we accidentally deleted our digital picture of Max, but I assure you, he is a good lookin canine-dude. We'll get ya next time Max! This morning we had the pleasure of assessing Bailey. Bailey is a nine year old, twenty-two pound, Cocker Spaniel. This cute little guy hung out with us in our Medium Roll and seemed to enjoy the affair. It was evident that Bailey had met a dog or two in his day. 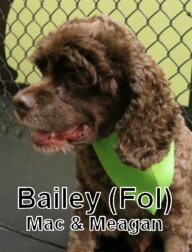 Although he didn't play a whole lot, Bailey was cool, calm, and collected around the others. He is more than welcome to join our ranks. Awesome job Max and Bailey, we shall see you both soon! Here are some dog related articles I thought I'd share with you today. Just like humans, dogs need to find different ways of stimulating their brains. Besides daycare of course, one of the ways to help deal with high energy dogs, or any dog for that matter is to set them loose on a Treat Puzzle. 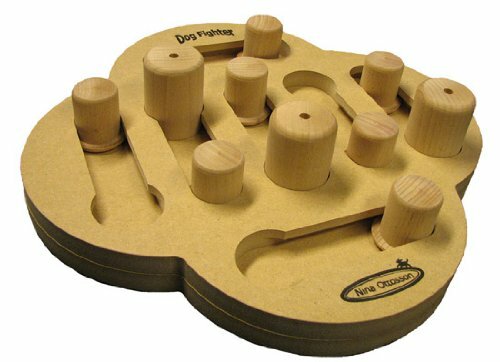 This type of puzzle helps the dog feel accomplished and entertained while earning it's treat. These are important things for the pup's mental health (which is just as important to our canine friends as their physical health) as it creates an avenue of stimulation that is natural in the way it makes your pup "hunt", instead of just being presented with his or her meal. Here we have Miller, one of The Fort's good friends, setting a prime example of how to play with his treat puzzle, and having a blast doing so!! His particular puzzle hides the snacks under the "paws", which Miller will have to pull out of the base in order to his reward. A great game and a healthy way to keep them preoccupied. One fairly common treat puzzle is the Kong, many of you have seen and maybe even used them before. By loading the Kongs up with the variety of treats made specifically to be placed inside the toy, Or anything healthy you could think your dog would enjoy, Such as this recipe using Apple, Pumpkin, and kibble. Or for a more sophisticated pallet, we have this scrumptious looking recipe. Your pup could spend anywhere from 10-15 minutes all the way up to an hour, trying to get at those delicious goodies! Being able to distract your dog, with something fun for them to do, even for just a couple minutes can be a lifesaver sometimes, but a joy to watch every time. So next time you stop in at The Fort, be sure to check out our wall-o-toys, to find a puzzle game that would work best for your pup. Here at Fort Fido we carry lots of Kong toys, along with balls that hold the treats until smushed a particular way very similar to the way that Kongs work. This clip features our buddy, Thorn, ripping it up with young dogs Max and Pancake, in the Medium Roll. Way to go you wild ones! Well, if you thought Fort Fido was cool... Wait until you get a load of Dog Island. OMG! This is the epitome of a canine-paradise-sanctuary, albeit a bit "Lord of the Flies"! Here is an excerpt from their front page. "Over 2,500 dogs are already enjoying a better life at Dog Island. Separated from the anxieties of urban life, dogs on Dog Island are healthy dogs who live a natural, healthy and happy life, free from the stress and hardship associated with daily life among humans. Dogs at Dog Island have another chance." Maybe I'll send Gibson to Dog Island to visit... But IDK, maybe he wouldn't want to come back lol! If you are interested in sending your dog there, let us know, I'd love to hear about the experience. Maybe we could get a mini NW one going on Anderson Island? Some land is cheap there, ha! P.S. Yes, I've attempted to trick you... Dog Island, of which I was told about by a friend (who totally believed in it), is not real. I could not believe it at first, and argued with my friend about it for a bit lol. Then, I looked it up online with the trusty old Snopes, and confirmed my suspicions. Hahaha! I am sure they have pranked thousands with that website. Too rich! I really enjoy watching the short documentary films that, Vice, offers. The other day, I came across one of the best ones yet! Checkout "Living with Wild Wolves". You will not be disappointed, it's absolutely entertaining, and only eleven minutes long. Now, it's not quite like a day working at The Fort, but it is close. Hahaha! ;) This flick is in good quality HD and has subtitles, so you may want to make it "Full Screen". Enjoy, I sure did! P.S. I mentioned this fella a few months back in a news article that I found... It's awesome to learn a bit more about him, and get some real video footage of the man. 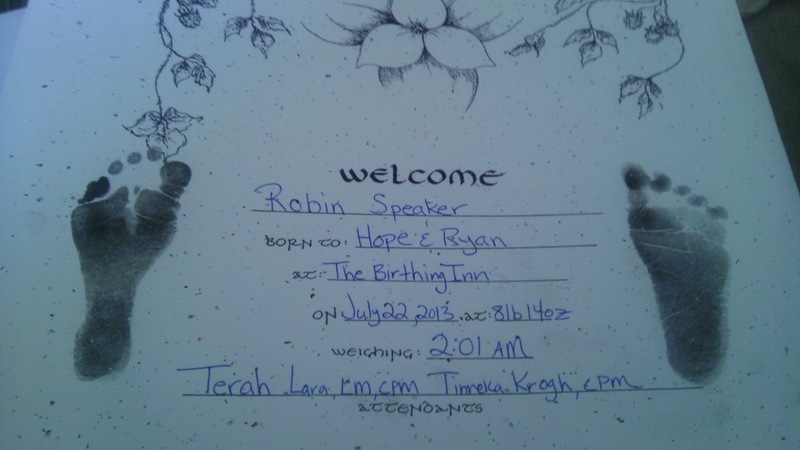 Welcome new baby Robin, well done! Wishing all three of you the best! Here are two great clips from the medium roll we got this morning. Featured in these clips are: Blue the Old English Bulldog, Summer the German Shepherd/Mastiff mix, Max the Border Collie mix, Marlee the Cocker Spaniel and Dax the Australian Cattle Dog. P.S. 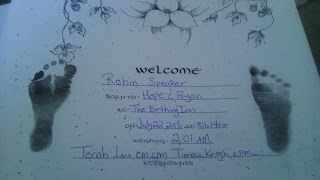 Also something to note, our blog is now going to be updated Monday through Friday, five days a week, only. Any big news that happens over the weekend will be up on Monday's post. Thank you. Back to it with new pal Astro! Meet Astro! He is a good looking, one year old, eight pound, Chihuahua / Miniature Pinscher Mix. 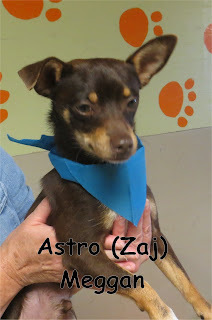 Astro is the new "little brother" of Fort Fido mainstay, Miss Cleo, who has been attending The Fort since 2007! Now Astro hung out in the Little Roll. He didn't do half bad up there, but you could tell he wasn't certain of why he was here. Of course, when it was time for him to leave, he finally began to play with Cortez in the lobby lol. That is most definitely a good sign. Given time and consistency, we are pretty sure that this little fella will be rammin' and jammin', with the best of the Little Roll Pack, soon. Well done Astro, I've got an inkling we'll be seeing ya around. Sorry, no blog post today... We are experiencing some technical difficulties. We should be back up and running tomorrow! Today we had the pleasure of getting to know this great, 6 year old, 65lb, Boxer named Jackson. Jackson started out over in our big roll and dove right in without hesitation. Jackson has a very mature personality and was a good alpha presence for the pack. although Jackson didn't seem hugely interested in playing with the younger pups he did seem to enjoy observing all the action and did join in a few times. Jackson did great today and we look forward to seeing him again soon. 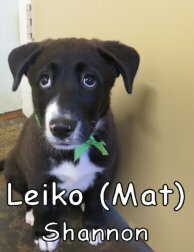 This weekend we are lucky enough to have Leiko, the Labrador and Shepherd mix. He is an adorable puppy of only 12 weeks, and shows it in his amazing attitude. Always seeking a good romp, Cayenne was overjoyed to welcome this pup and showed him a good time frolicking around in the Med. Roll. I managed to get a couple great clips of their fun. Enjoy! Here is a super cute clip of when Leiko and Cayenne were still figuring out each other's play style, and I must say that these two are going to be great pals as the days go on. Another quick clip here that I wanted to share of these two pups ripping it up some more. On a more serious note, another massive pet food recall is in effect. Be aware that If you have any "Natura Pet Food" products, throw them out immediately. And just a quick reminder that Fort Fido does carry Kumpi (follow link for info and testimonials) dog/cat food which is held to the highest baking standards and has NEVER been recalled. Welcoming more pups to the pack! 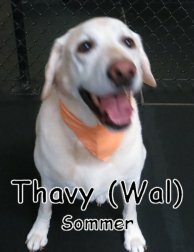 This morning we welcomed Thavy, an 8 year old yellow lab. Who was very nice and spoke great dog, but wasn't super quick to jump into play mode. She did sniff around and start to learn the abundance of new smells. 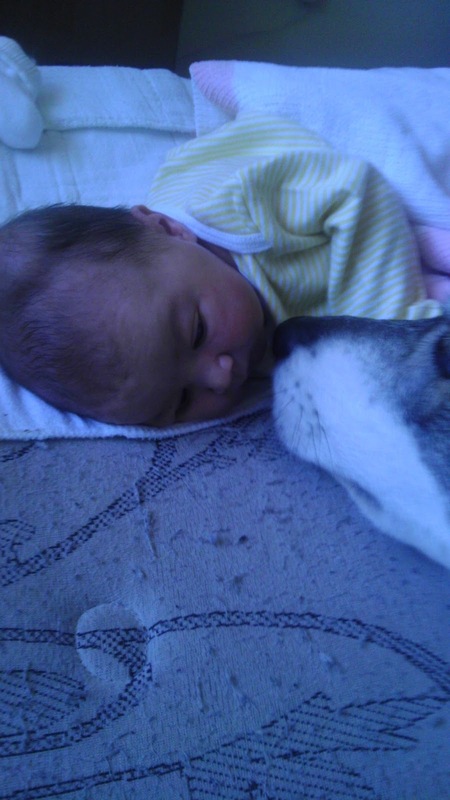 During her morning visit she met the other members of her new pack while settling into the daycare environment. I'm sure that The Fort will become more comfortable as she stays with us this weekend, and she will grow to be a valuable member of the pack. We also welcomed Dax's brother Shep to the pack today. 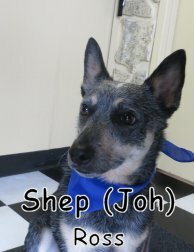 He is a 3 year old Australian Cattle Dog. Nosing around the fences and getting to know the other dogs smells was his mission today. Even though he did not play much, Shep started building his social skills in a positive way, which will help him make tons of new friends here at The Fort. Dax showed him that even though its a new place, it was a fun place, and by playing for a short time, helped Shep be more and more comfortable as the day progressed. This morning we were delighted to assess new pup Penny. 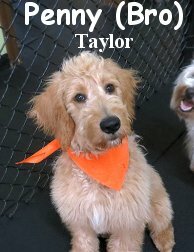 She is a four month old, twenty-five pound, blonde colored, Goldendoodle. Penny's "Dog Aunt", Ruby, has been coming to The Fort for over a year. Penny stayed with us and the pack in our Medium Roll. She was happy, playful, and pleased to meet with the other dogs. A very well rounded young dog, Penny interacted nicely with the group. She greeted and played with many dogs, including Fort Fido regulars, Lucy and Yuki. We are lucky to have a nice new doodle amongst our ranks. First-rate job today Penny, we hope to see you soon! Some really good ones I found today, hot off the press lol! What signals a dog is about to attack? The worlds most cunning canine? I gotta warn you though, these clips feature mostly, Mr. Yuki "The Terrorizer" (Kidding! ), doing what he does best lol... Playing hard and being popular! It seems like every second of his Fort Fido time is spent this way. He is one neat canine that really likes this place. Also in the clips, new Westie Emmett is found doing fabulous! This morning he decided to "bust out" into play, with several different pack members. We were thrilled! It is always a joy to see a new dog to The Fort, get comfortable enough to start having some fun. Most assessments (new dogs) start playing right away, but some, aren't exactly sure what to make of it all at first. Over time, they begin to love it. We believe Emmett is headed for "loving it" status, and it hardly took 24 hours, way to go pal, enjoy yourself! Another thing to note about today's clips, is Louis. This month has seen quite an influx of fun, but high-energy, young puppies in the Medium Roll. This is a good thing, however, young pups can be quite a handful for the older pack members... Due to their adolescent behavior, AKA, "bad manners", socialization "learning curve", and rowdiness! Now back to Louis, he's been just awesome, and extremely patient with "The Newbs" lol. He has taken several of the young puppy dogs under his wing, errr paw? Haha! Anyway, Louis has been showing these whippersnappers the ropes of proper dog socializing, fair play, etc... Good on ya Lou! Thank you for the help buddy, especially with Little Miss Blue! Today we had the pleasure of meeting two new dogs. First to come in this morning was Emmett, a great little 10 year old West Highland Terrier. Emmett joined the pack over in the medium roll and had a great time sniffing around his new surroundings and meeting other members of the pack. Next up was this 6 year old, 17lbs, Miniature Schnauzer named Suki. Suki also joined the medium roll, she was a bit timid at first but quickly warmed up to the other dogs and started having a great time. Both Emmett and Suki did great jobs on their first day and we look forward to seeing them again soon! Can your pup take the heat? Another cool trick is to use the "Kong" chewtoy that your dog already loves. stuff it with wet food or peanut butter, then freeze it. It's a great way to keep your dog both entertained and nice and cool. Fun ice cubes filled with healthy snacks like peas or carrots are another great way to beat the heat! Something else to keep in mind, is that a dog’s normal body temperature is 100-102 degrees. So when we're hot, they are too. Watch closely for signs of heatstroke like, panting hard, staggering gait, rapid heartbeat, dazed look, listlessness, restlessness, dark red or purple gums and/or tongue and vomiting. If you suspect a heat-induced illness in your dog, gradually lower his body temperature by moving him to the shade or air conditioning, apply cold packs to his head, neck or belly, or immerse in cool (not cold) water, and then take him to the vet immediately. Speaking of cold packs, I've seen some pretty awesome stuff coming out on the market designed specifically for the furriest of our friends. Collars, vests, and beds, all made to either hold ice packs in them, or actually are ice packs themselves, made to be frozen and then worn on those hot days. Summer can be a great time for both man and man's best friend. With just a couple of extra precautions, both you and Fido can enjoy your fun in the sun! Happy Friday to everyone, hopefully you had a wonderful 4th. The dogs had a great time here, and thankfully, slept well. I have two cute clips for you today. Josie, Marlee, Seamus and Wubs (AKA Faramir) had a lot of Ball Time fun together, this morning, in the Little Roll. After Independence Day excitement, Bear (Baer) and Jasper were just ready to "Chillax". How precious haha. Also, I watched this cool clip on Youtube's "Most Viewed" the other day. It's a Dog Goldberg Machine, you know, "Rube Goldberg style", but with dogs haha! It's very rad, however, I will say this... And I'm ok with saying it... Beneful (Purina) stinks! Solely "my personal opinion" of course lol. At least try this food for your canine companion instead. Have a wonderful holiday today everybody. Happy 4th of July to you and yours, have a blast and be safe! Today marks our record setting Overnight Boarding day (the last one was Thanksgiving Day). However, it isn't too late to drop off your pooch to spend the night with us. We are by no means full. Just a reminder, drop-offs end at 7:30PM. Let that freedom ring, but keep all of yours fingers lol! P.S. Ah, you may find this 4th of July Pet Safety article useful today. Howdy, meet Bella! 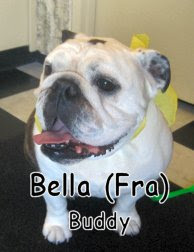 She is a sweet, six year old, white and brown colored, English Bulldog. Bella had her assessment today in the Big Roll. This convivial dog was ready for anything. She was very eager to bask in the commingling of canine fun that is The Fort. Bella took pleasure in her assessment right from the get go. She is very well mannered, and has a happy disposition. Bella speaks great dog, she socialized and played readily. This fine dog specimen has truly enjoyed experiencing Fort Fido today. We are quite pleased to add another "good egg" to our basket... I mean Pack! This morning we assessed the rather good looking, young dog, Josie! 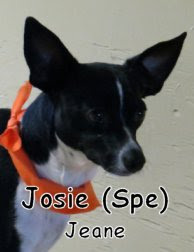 She is a very bright and sparky, one year old, fourteen pound, Chihuahua/Italian Greyhound Mix. Now Josie is one nice canine. She stayed with us in the Little Roll, where Mr.Cortez took quite a liking to her lol. Although Josie didn't play a bunch, she was happy, content, and seemed to enjoy her stay. As more dogs arrived and the pack grew, Josie became even more comfortable in her new surroundings. She was a pleasure to have here at Fort Fido, we are excited to have her here for Overnight Boarding too. Tremendous job Josie! P.S. Just a reminder, The Fort, is a great place for your canine to be during the 4th of July... Especially if they aren't too fond of all the "firework action". Let them spend the day and or night with us. It is much more calming and fun for them here. We still have spots available! Today we had the pleasure of meeting this sweet, 17 weeks old, Lab/Shepherd mix named Luna. Luna settled right in to the medium roll and started playing straightaway. Luna met quite a few new dogs today but her favorites seemed to be Rusty and Marlee. Luna has a great personality and an excellent temperament, we look forward to seeing her again soon. Here is a quick video clip we got this morning of Luna and Rusty in the medium roll.